Sonnette Cellular Roller Shades is Hunter Douglas newest 2017 award winning window covering of the year. These shades have the energy-efficient characteristics of a cellular shade with the look of a Pirouette shade in the closed position and has the clean lines and simplicity of a roller shade. Visit Sheila’s showroom in Crowfoot to view our displays and explore the four fabric collections and 48 gorgeous colours that range from neutral grays to vibrant red. 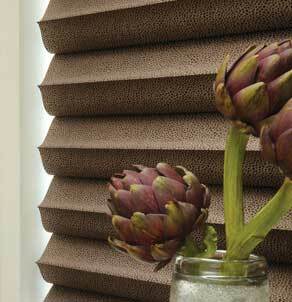 All fabrics are available in both semi-opaque and room-darkening options to suit your needs. Learn more about Sonnette Shades.